Cape Town's weather has turned grey, much like this photo. I always struggle to find something to photograph under these conditions... either because it's too flippin' cold to venture outside, or because it's raining outside and I'm reluctant to get rain on my camera - or perhaps that grey weather just drains my inspiration (much like I'm guessing this graffiti artist's inspiration was drained by the dull vibracrete wall and monochrome palette). Vibracrete walls must be one of the structures I dislike most in our country. These precast concrete walls have permeated the fabric of our suburbs, with almost every property bordered off by a dull grey wall. Every now and again someone gets inspired and paints their walls in a colour to match their homes, or better yet, in an inappropriately bright colour, like apricot or salmon. Because undercoat is seldom used, the wall paint doesn't last very long and starts to peel, leaving patches of grey or previous layers of paint exposed. Posted in Street photography and tagged art on Friday, 29 May, 2009 by Paul. I had to smile at the resilience of the word “Vibracrete” – This to describe ALL manner of pre-cast concrete fencing. Vibracrete employed the very first Vibrating table system in the manufacturing process for tamping the concrete to release the entrained air which caused “honeycomb” in the concrete – thus the word Vibracrete – Vibrated Concrete. Much like the word “Hoover” to describe vacuum cleaners! Ah, Beverley, I’m now as jealous of the UK as you were of South Africa only a few weeks ago. :) Enjoy! The bright side of the weather we’re having is that our gardens are getting plenty of water to grow and our dams are filling nicely (hell, my swimming pool which was partially emptied is filling nicely). Deon, thank you for the explanation. I really did wonder where the word Vibracrete came from. What you said about the process of vibrating the bubbles from the concrete is kinda obvious in retrospect. I really should have put two and two together. :) I’m glad that we’re able to bring back these kind of memories for you! Very moody and triking photo. Love the lines and perspective. Concrete grey might not be the most cheerful background but, if it discourages the graffiti artists from defacing these surfaces, perhaps the grey wall should be encouraged? 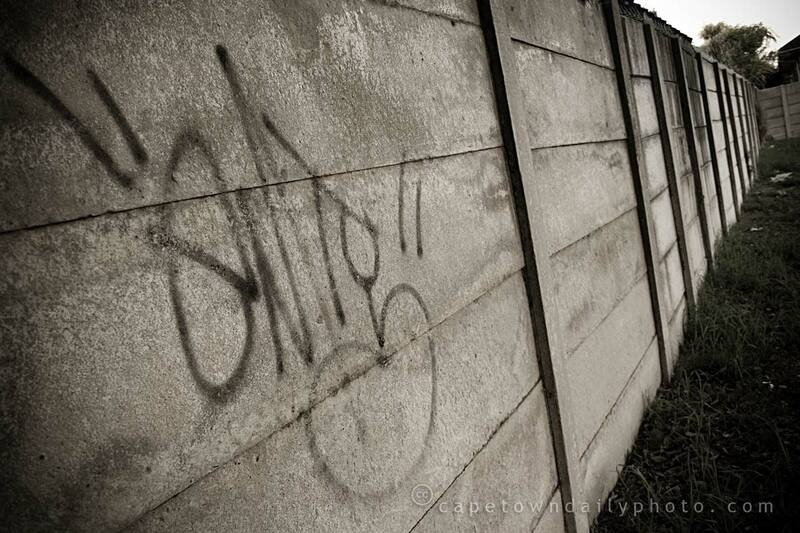 No matter how meticulously you prepare and prime a wall before painting, graffiti still ruins the final finish.